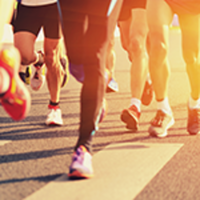 Train for this fun, challenging Sprint Tri. 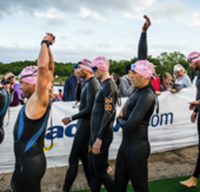 Swim 300 meters in the indoor pool, bike 16 miles with rolling hills, and run 3 miles on a relatively flat course Cash awards will be given to the Top Overall Male and Female. Age group awards will be provided for the top 3 finishers in each group. There will also be awards for the top 3 relay finishers. Estimate your swim time as accurately as possible, as no changes will be made after you submit your registration. Proceeds from the TRI benefit the Everyone Belongs Campaign which provides fitness and wellness opportunities for those who cannot otherwise afford them. Race will be held rain or shine, but the Race Director will determine if weather is severe on race day for delays or cancellation. * Please make an effort to pick up your race packet on Saturday. Competitors will swim up & back the first lane keeping to the right side of the lane. After swimming the first lane swim under the lane line and continue up & back the next lane, etc. After swimming all 6 lanes (300m) swimmers will exit the pool and proceed to the outdoor transition area to begin the bike course. Swimmers will go every 10 seconds. The bike course is 16 miles of rolling hills through Lancaster County farmland. There will be a Constable, Fire Police, Certified Flagger or volunteer at every intersection. All turns and traffic patterns will be clearly marked with event signs. The 3 mile run is an out & back course. There will be a Constable, Fire Police, Certified Flagger or volunteer at every intersection. A water station will be provided at the half way turn around.